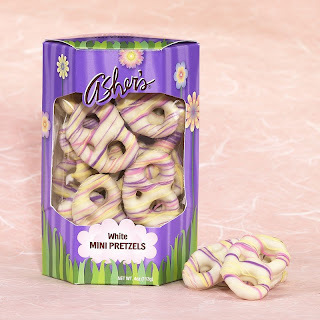 Our best selling mini pretzels in white chocolate. Buttery white chocolate envelops salty bite sized pretzels. Festive pastel icing and a bright new box makes this candy classic a perfect Easter treat! These would be great for an Easter treat. $4.50 per 4oz box. Very yummy! !